Should I Buy Gold American Eagle Coins? There are several reasons why the American Gold Eagle Coin is unique among official gold bullion coins of the United States. First, law stipulates that these coins must have been produced by gold mined within United States borders. Second, an unusual exception was made in that Gold Eagles, with 91.67% purity (22 karats), are the only gold bullion coins with less than 99.9% purity that are deemed IRA-eligible. Typically, only 24-karat gold coins (0.999 millesimal fineness) qualify for a Precious Metals IRA. A third unique characteristic of the Gold Eagle Coin is the fact that it is the first bullion coin whose design was created by a woman. 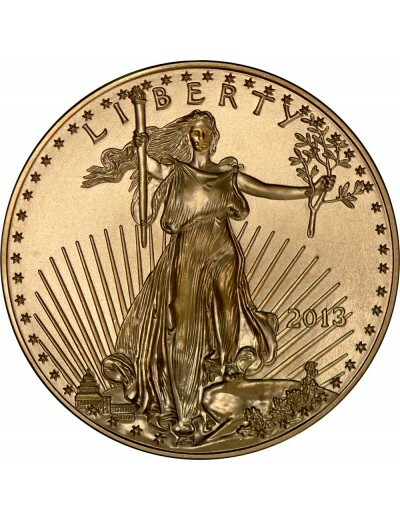 Authorized by the successful passage of the Gold Bullion Act of 1985, the first American Gold Eagle coin was released into circulation by the U.S. Mint to compete with popular foreign coins the following year. The purity, weight, and content of the IRA-eligible American Gold Eagle bullion coin are guaranteed by both the U.S. government and backed by the U.S. Mint. 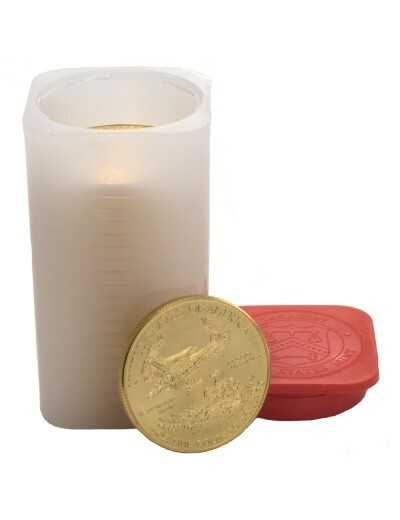 How pure are American Eagle gold coins? Each Gold Eagle coin contains one troy ounce of .9167 pure gold that is combined with an alloy of 3% silver and 5.33% copper to enhance its wear-resistant durability. This is equivalent to 22 karats, which had long been the standard for English crown gold coins and for American gold coins minted before 1834. Legislation authorized the Treasury to strike four legal-tender gold coins in sizes of one ounce, 1/2 ounce, 1/4 ounce and 1/10 ounce. Each was assigned a face value; the face value of the one-ounce American Gold Eagle bullion coin is US$50. The face values for the 1/2-ounce, the 1/4-ounce, and the 1/10-ounce Gold Eagles are US$25, US$10, and US$5, respectively. However, the bullion values of all of these coins far exceed their face values. In fact, the value of a bullion coin is tied directly to that of the metal it contains rather than its denomination; this distinguishes it from a collectible or numismatic coin, whose premium can add value. 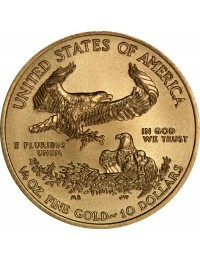 Because American Gold Eagle Coins have lower gold content, they are usually sold with a lower premium over the spot price of gold than other IRA-approved coins. A 1 oz. 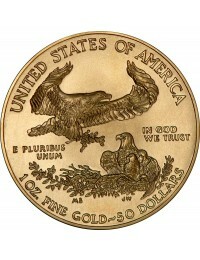 American Gold Eagle is 32.7 mm in diameter and 2.87 mm thick. A 1/2 oz. 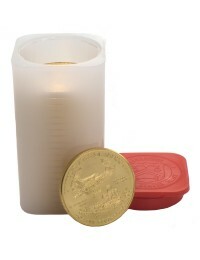 American Gold Eagle is 27 mm in diameter and 2.15 mm thick. A 1/4 oz. 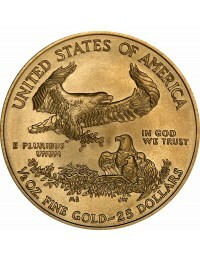 American Gold Eagle is 22 mm in diameter and 1.78 mm thick. A 1/10 oz. 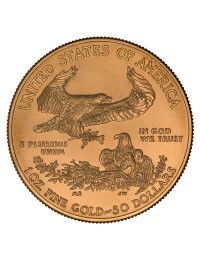 American Gold Eagle is 16.5 mm in diameter and 1.26 mm thick. Treasury officials chose a beautiful design for the obverse of the coin that is reminiscent of the majestic artwork featured on the twenty-dollar Saint-Gaudens’ Double Eagle, which was produced by the United States Mint from 1907 to 1933. 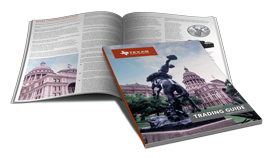 Designed by sculptor Augustus Saint-Gaudens at the request of President Theodore Roosevelt in an effort to beautify American coinage and accurately reflect the country’s growing international prominence, it is often regarded as the most beautiful design in American coinage. 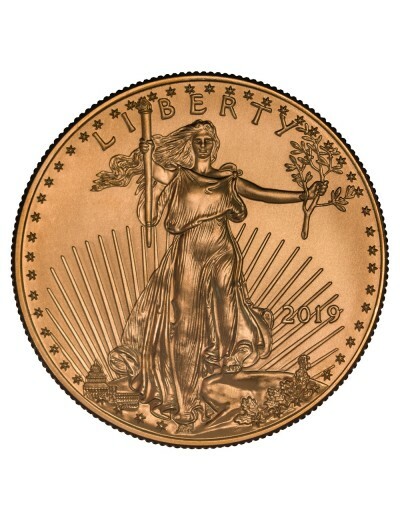 On the American Gold Eagle Coin, a “slenderized” Lady Liberty is depicted front-facing, striding forward on a mountaintop with the rays of the sun behind her, carrying a flaming torch high in her right hand to represent enlightenment and an olive branch, a symbol of peace, in her left. The U.S. Mint has long replicated Roman and Greek coin design features, and continues to do so with the production of Gold Eagles. For example, the word, “Liberty” appears prominently in all capital letters, arranged in a semicircle across the top of the coin, and an image of the U.S. Capitol is visible at the bottom left. The mint year—an important feature of authenticity as well as a valuable mark for numismatists—is inscribed within the sun’s rays at bottom right. From 1986-1991, the date was rendered in Roman numerals; since 1992, standard Arabic numerals have been used. Fifty stars, representing the fifty states in the union, surround the artwork, modified from the 1907 design which had only 46 stars and the 1912 design, which had 48 (reflecting the additions of Arizona, New Mexico, Hawaii, and Alaska to the Union). 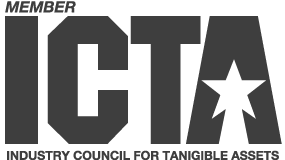 Miley Busiek, who works today as Miley Tucker-Frost, came up with the concept for the design after watching Ronald Reagan’s acceptance speech at the Republican National Convention in 1980. She explained, “The theme of his speech that night was ‘Together, a new beginning.’” Traditionally, our national symbol, the American bald eagle, has been depicted as a single heraldic eagle; Busiek, however, liked thinking of America as a caring family, so she created a design depicting a family of eagles and lobbied extensively to have her design adopted by Congress. The male eagle, clutching an olive branch in his talons, is captured in the midst of descent toward his nest, where his mate rests with her hatchlings. Congress stipulated that the “Family of Eagles” design should appear on the reverse of the one-ounce coin, but the Treasury liked the concept and design so much that it chose to place it on the three fractional coins, as well, though it wasn’t required to do so. “United States of America” is displayed across the top and each coin’s gold content and legal tender face value are engraved at the bottom. 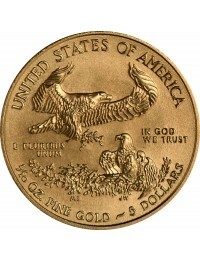 Though far smaller than the value of the gold contained in the coin, the denomination underscores the fact that each American Gold Eagle is a coin and not a medal. The Latin words, “E Pluribus Unum” (“Out of Many, One”), occupy the space underneath the flying father eagle and the official national motto, “In God We Trust,” is inscribed to the right of the mother eagle.